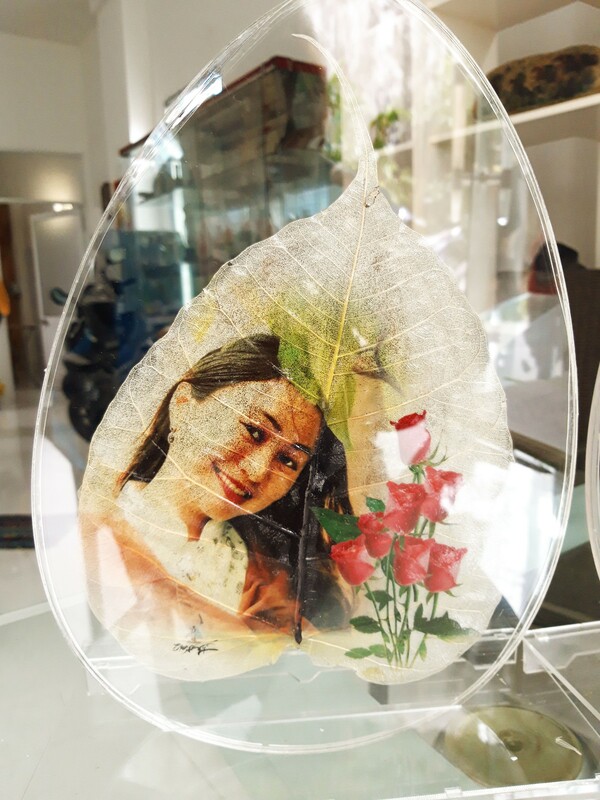 A man in Da Nang loves creating pictures on leaf skeletons and this passion has made him Vietnam’s trailblazer in this novel art. 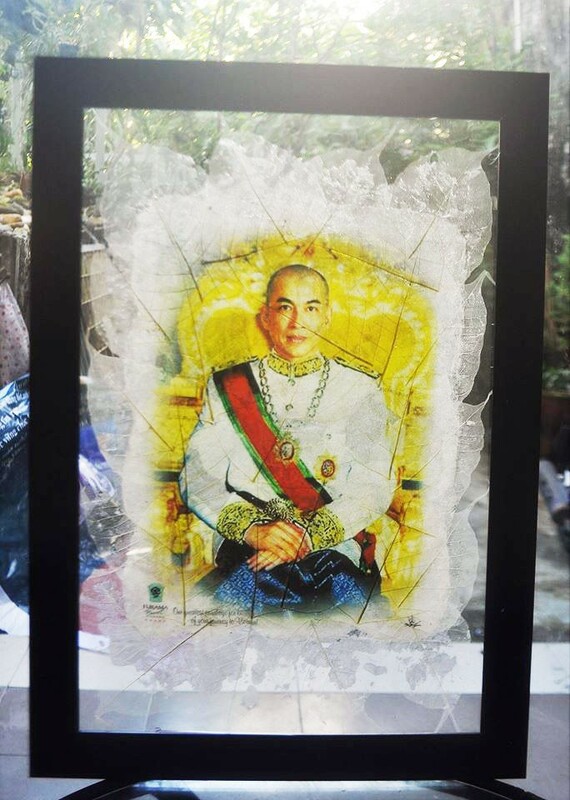 Le Nguyen Vy has already earned a name as the country’s first successful man in rock and shell painting – an art he had tried to learn for nearly 20 years. 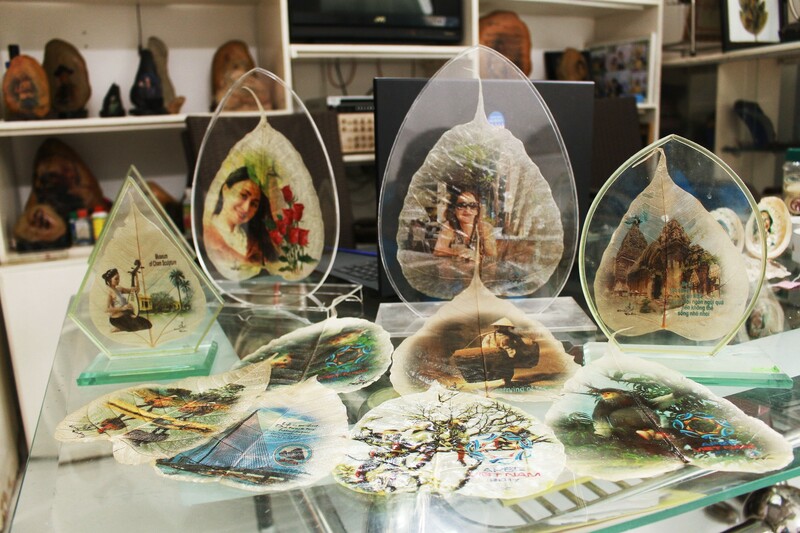 Vy made over a thousand such paintings, many of which were sold to several other countries. The art was his chief means of livelihood but a few years ago he encountered a problem in making a living from that. In 2013 partly pressed by family budget constraints, the now sexagenarian shifted from rock painting to the novel art of leaf skeleton printing. “I pursued rock painting for over a dozen years and I have to acknowledge its disadvantage,” he said. He converted much of his home-based workshop originally for rock painting into a space for the new venture. 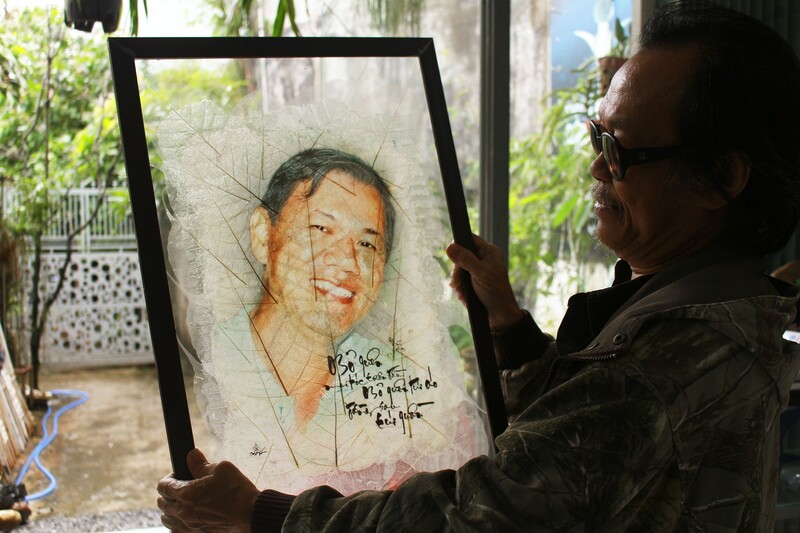 When deciding to switch to the art, he was also guided by the principle that artworks for livelihood’s sake need to incorporate love for arts and creativity. 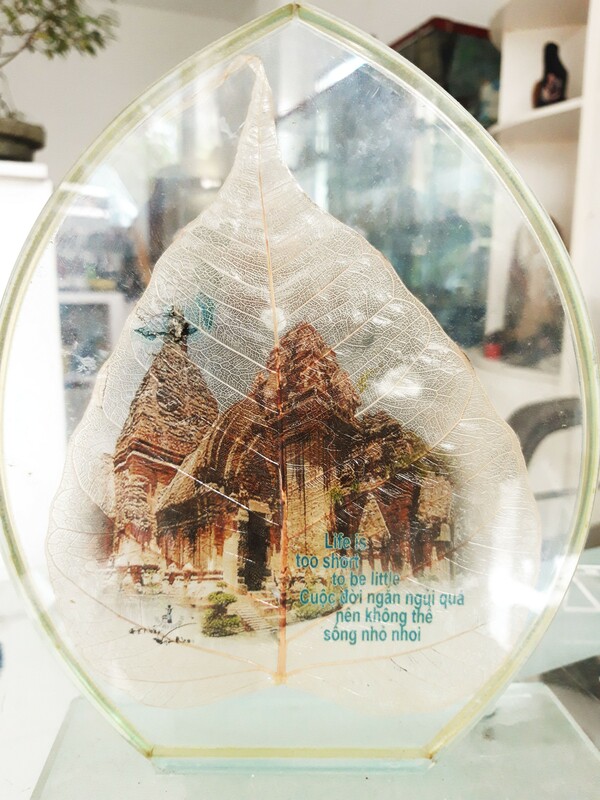 The idea of using dead leaves for printing flashed through his mind when he saw leaves from a Bodhi tree while visiting Da Nang’s famous Linh Ung pagoda. 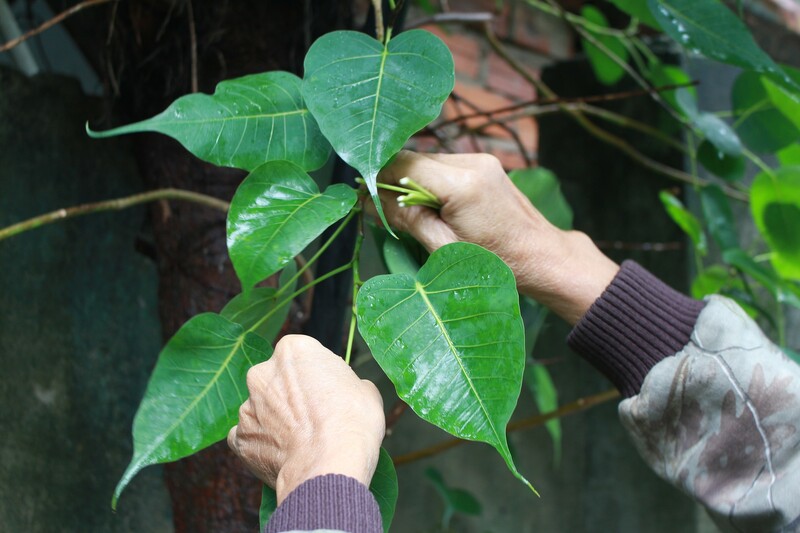 He at first tried to remove tissues from Bodhi leaves with chemicals so that only the veins remained to make skeletonized leaves, but all attempts ended in failure. Again a childhood memory came to his rescue. “I sudden recalled leaves lying in the lake of the village where I lived as a child. They had fallen into the lake and decomposed there,” he said. He chooses fresh adult Bodhi leaves, soak them for a month before they are whitened and dried in sunlight. 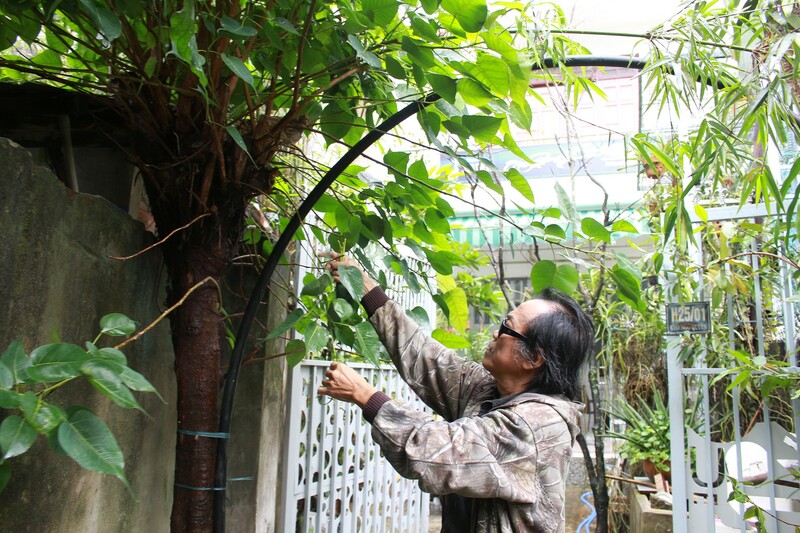 He spent a great deal of money experimenting with various paints on Bodhi leaf skeletons and even took out a bank loan of over VND10 million (US$430). His wife, Tranh Thi Chanh, said she had no idea her husband had borrowed money to pursue his new venture. The risk-taking had previously been seen in his rock painting job when he used his house and motorcycle as collateral for bank loans, the 65-year-old wife said. In 2013, Vy rolled out his first leaf skeleton artwork. “A fallen leaf is considered trash. If some art is done on it, it will become valuable and immortal. A nondescript leaf can find its own value this way,” he said. 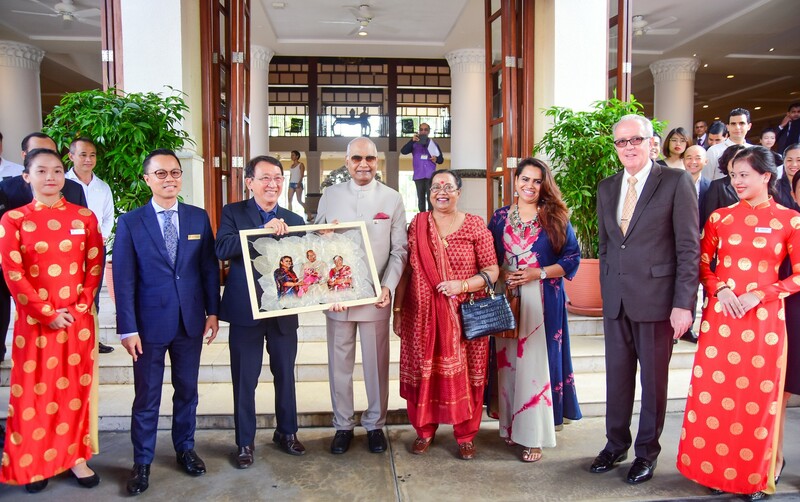 His artwork with a photo of the family of Ram Nath Kovind – India's current president – was selected as the gift to the foreign state leader during his visit to Vietnam in November 2018. The work, completed in 24 hours, was a glass-enclosed arrangement of 30 Bodhi leaf skeletons that looked almost transparent. The Bodhi tree, also known as ficus religiosa or sacred fig, is a species of fig native to the Indian subcontinent. 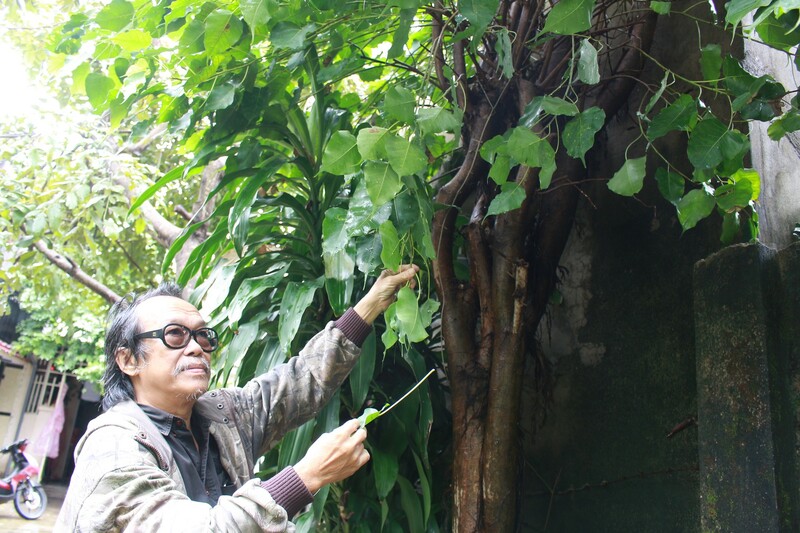 Nguyen Duc Quynh, head of Furama Resort in Da Nang, which offered the present, said he opted for Vy’s product because it was special and used the leaves of a sacred fig grown in a local pagoda. 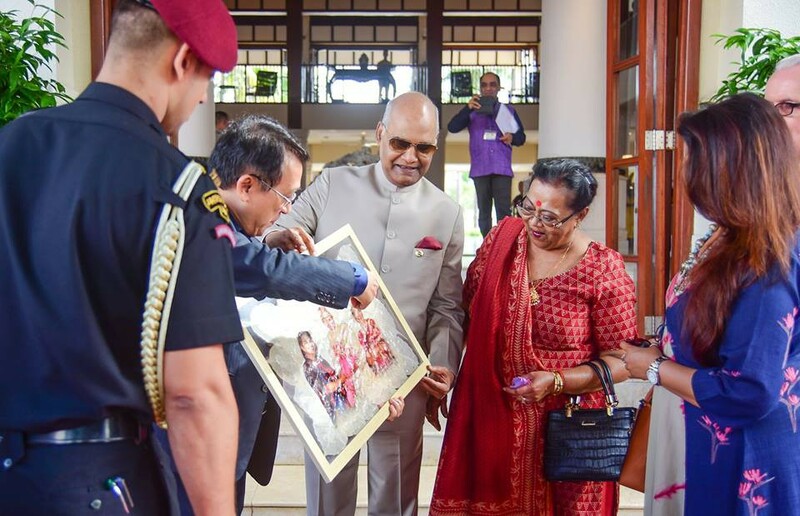 In late December last year, Quynh again bought another of Vy’s skeleton artworks and gave it to King of Cambodia Norodom Sihamoni. 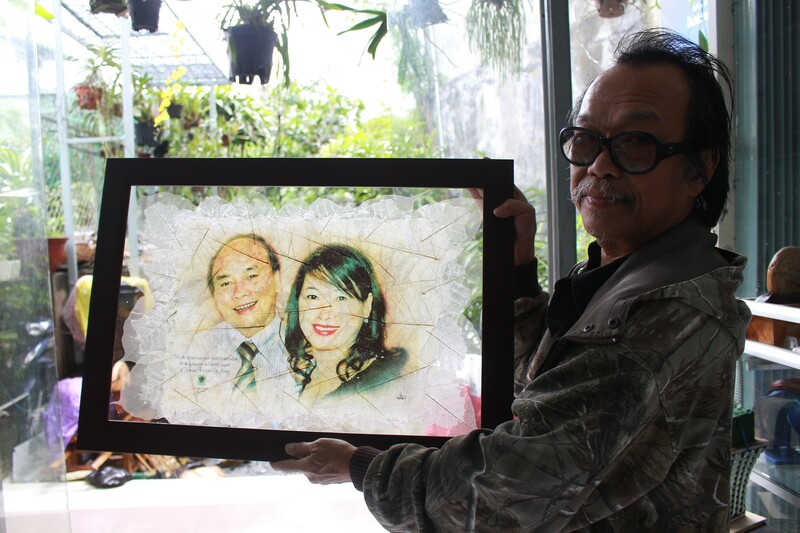 Another special product made by Vy is a leak skeleton with a picture of Vietnamese Prime Minister Nguyen Xuan Phuc and his spouse. 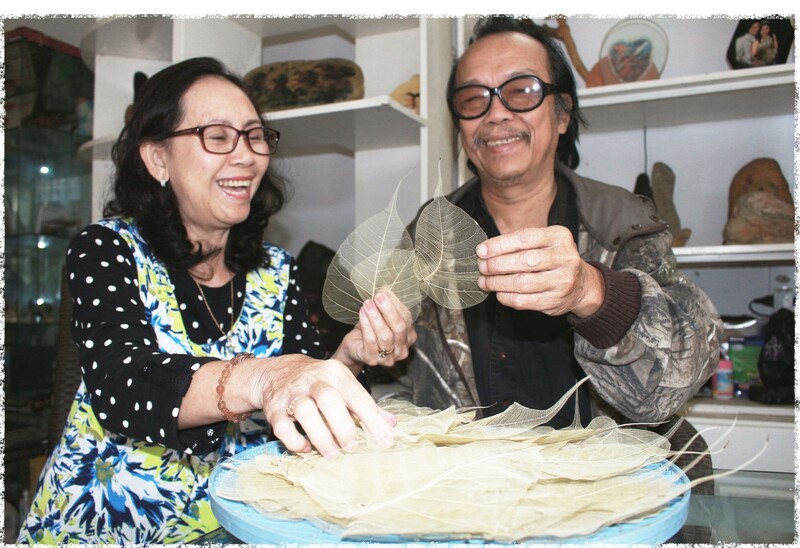 Vy is now trying to add to his art repertoire the ability to make printing on breadfruit, country-almond and maple leaves to tailor his works to religion-specific customers, as Bodhi leaves are preferred by Buddhists. He said he declined to create a leaf skeleton work using a photo a would-be customer sent him, saying it was ugly. He believes that people have the best moments when they look happiest, true to their real personality, and he wants to capture their appearance at the time. His wife said it was hard to live on the income from the leaf printing as the artworks had had few buyers. The man has not found an able person to whom he can pass down the printing techniques, which are fairly difficult to master.